I can't get the camera to work in the mobile app. When I hit the icon, it asks for access to the camera roll and won't do anything else. Help? What version of the LRCC for iOS app do you have installed? Have you verified that the devices own camera app is working OK? I assume when you get the message about camera roll access you are allowing that? I phone XS max; the CC app is up to date (although I don't really know how to check that); my camera works just not inside lightroom; and yes, I allow it but them I go around and around when I hit the camera button. THANKS for you help! 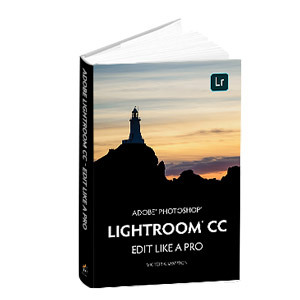 I'm a Lightroom desktop power users, and this is frustrating. Actually, I'm not sure the XS phone is supported yet, though that usually just refers to raw file support. But how that works within the LRCC app I'm not sure. I'll try to find out. In the meantime, to check the app version, click on the gear icon on the main albums screen, select About Lightroom and you'll see the version number. Also, try quitting the LRCC app and restarting it. If that doesn't work you'll need to use the native camera app for now until I can get back to you on the support issue (or someone else knows how to deal with the problem). The CC camera works fine on my XS Max, so should work on an XS. Have you tried rebooting the phone? You might have accidentally denied permission to use the camera. To double check that, go to Settings app and scroll down to Lightroom Cc, then make sure the Camera switch is toggled.